I have been through DPAULS many times and I prefer everyone to go for this, cause they offers a good transportation facilities and also the staff is very friendly and helpful.The hotels provided were very good and sight seeing was made more comfortable and enjoyable. the company also provided me full guidance and to my comfort level also provided me with a translator that made everything so easy and communicable. ’M planning to go in august and I would like to avail a discount in my next tour for being a regular client. ciao. 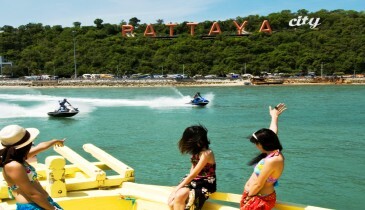 its an awesome deal for bangkok pattaya for 6 nights tour package! Best package for bachelors. Dont need luxury hotel and more time for fun and enjoying the city life. i could not find this cost ANYWHERE ELSE. Take this package if you dont need to stay in hotel much. Pattaya n bangkok both r so good that you will have lot to enjoy there. also, you can take lots of gifts for your girlfriend to make her happy when you go back. We were four friends who took this package. The best part was within 1 lack rupees all four of us completed our tour. pattaya is very exciting. must visit if you love excitement in your life. hotel were just ok but we stayed there very less so we dint mind. thanks dpauls! u r the best! "Fantastic in the given budget!" I had less budget and was adviced this package. We went here for our honeymoon. First international trip for us both. 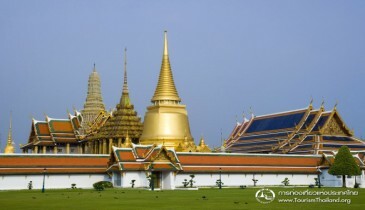 Bangkok is exciting and Pattaya has different fun altogether. Exciting is the word ;) Plus BEST PART- i booked it online here so got various free gifts!! SUGGESTION- Book deluxe category for better experience of hotel stay matter to you. we were family. my kids enjoyed a lot on pattaya but we could not enjoy the nightlife much. it gets too much. so take care if you plan to go with family. bangkok was much more fun. we took deluxe package as suggested by dpauls which was a very good suggestion. well arranged and very cost effective. Excellent time spent together with friends in Bangkok. The hotel allotted us was good. Our room was specious and clean. In one word I can say; this package was good for us according to our budget. I went to Thailand and it was awesome. I guess very active responses, friendly way of talking, honest advices and perfect co-ordination by Sonal made the whole experience double the pleasure. While Bangkok is super fun, Krabi is a very lovely destination. I just hope it remains the way it is. Sonal again is planning my sister;s upcoming trip. DPauls and you are my permanent holiday planner now. nice trip with dpauls. this was my first trip and it hardLy cost me anything. i will ask all my friends to book from dpauls. "Dpauls is best travel & Tour company"
we enjoy more in thailand toure guide is good. we see buddha temple, Pattaya is best. we stay 2 super nights in Bangkok. Airport Transfers is good Driver reached at rights time. 1. Passport photocopy (first and last page). Passport should be valid for minimum 6 months from date of return. 2. PAN card copy (required for Billing). 3. Traveling passenger Signed Booking Form. 4. Traveling passenger Signed Passport Condition Form.